In order to check the speed of your wireless connection, it is necessary to check the Wi-Fi signal strength. This will help you determine if your wireless connection is reliable and delivers what is promised. Painfully slow Internet connections lead to frustration and disappointment. Monitoring the Wi-Fi signal strength will help you understand if you need to question your Internet service provider or you need to reduce the level of noise around your WLAN signal. 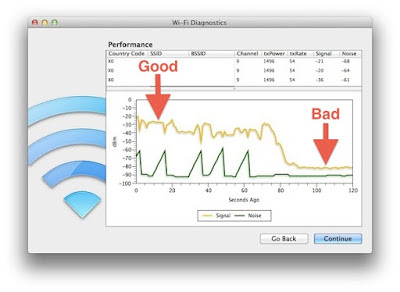 Let us have a look at how to monitor the Wi-Fi signal strength in the following article. There are many tools to help you determine your wireless signal strength. You can use one or more to check your Wi-Fi signal strength. Do not worry if you get different results using different tools. For example, one tool may show signal strength around 90% and another might show it around 81%. All tools have different parameters set to rate signal strength and this may affect the final reading. One of the simplest ways to check the signal strength is by clicking on the wireless network icon in the notification area. When the list opens, you will find different wireless signals all listed as per their signal strength. The signal bar represents the signal strength and more the number of bars, stronger is the signal. The wireless signal with the weakest signal is listed last. When you are already connected to a particular network then just go to Network Connections. Click on the Wireless Network name you are connected to and check its wireless signal strength. A new window will open up called Wi-Fi Status and will give you the details of the Speed. There are many utility tools available that help you check the Wi-Fi signal for free or by using their paid versions. 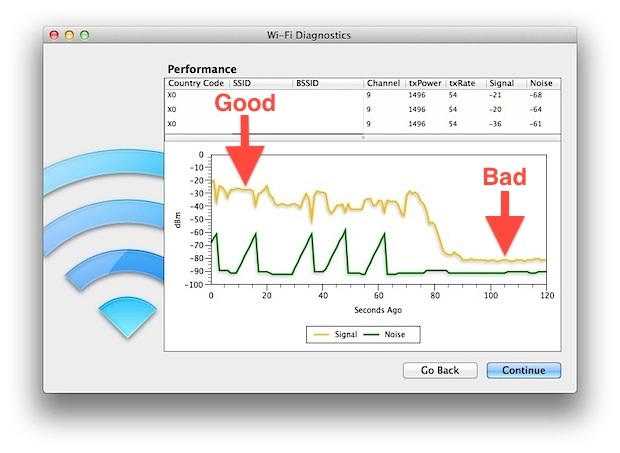 You could try NetSpot, a free wireless signal strength analyzer and troubleshooting tool. This tool is available for both Mac and Windows. You could even try Homedale as it is a completely portable utility tool. In case of personal use, Acrylic Wi-Fi Home won’t disappoint you as a monitoring and troubleshooting tool. Many online tools help monitoring wireless signals. One such mentionable tool includes speedtest.net. You should test your Internet speed several times a day at different time intervals. This will help you determine if there are any changes in the speed at different times of the day or week. You could even try the link http://speedtest.att.com/speedtest/index.m.html?referrer= to test the speed for your computer as well as mobile device. These are some simple ways to measure your Wi-Fi signal strength.